Having not made any of my homemade mince pies at Christmas, I was fancying something made with mincemeat and looking through my kitchen I found a large bag of oats and thought aha! 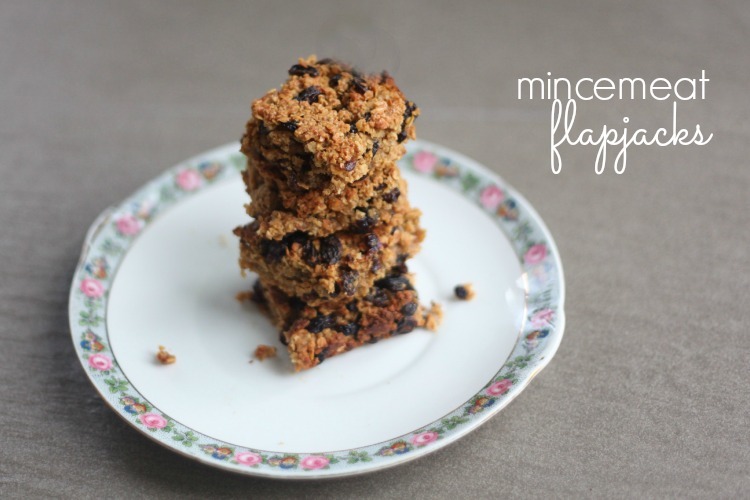 Mincemeat flapjacks. 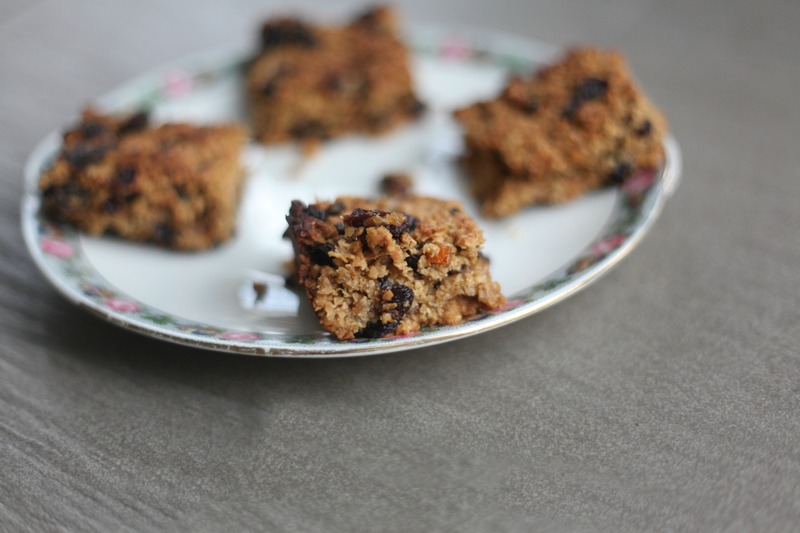 When I experimented last year and made my Mars Bar Flapjacks, I kept the recipe really simple by using just 3 ingredients. 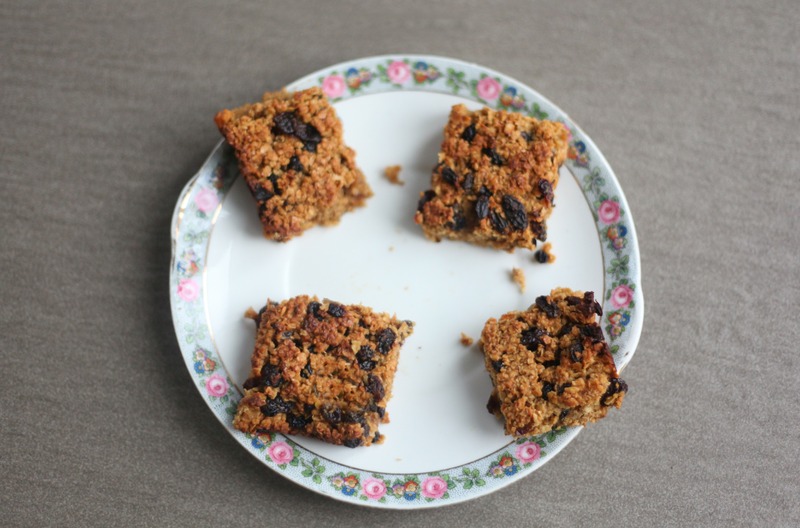 Well, my Mincemeat Flapjacks are also just as easy to make and also use just 3 ingredients – how simple is that? So not only were they easy to make, but very cheap too – perfect! Deeeeeeelicious! They reminded me a little of Christmas Pudding. This would make a lovely alternative to mince pies at Christmas time, and would be less fattening too. So if you have some mince meat going spare, then why not give these a try? 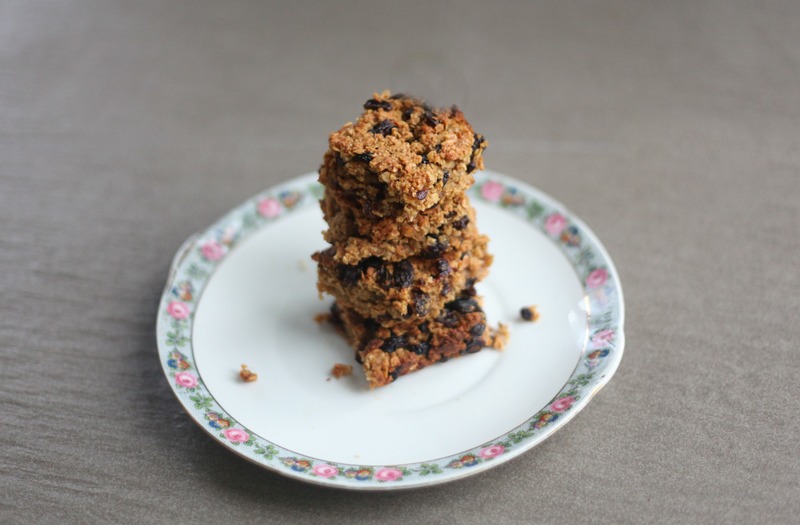 I have a jar of mincemeat leftover from Christmas, so I’ll definitely gives these a go. They look delish. 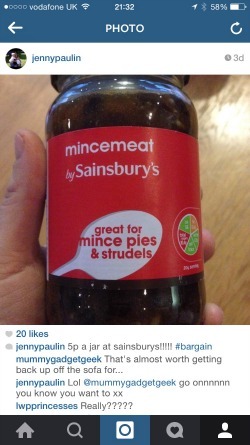 5p is quite a bargain and I love mincemeat any time of year. 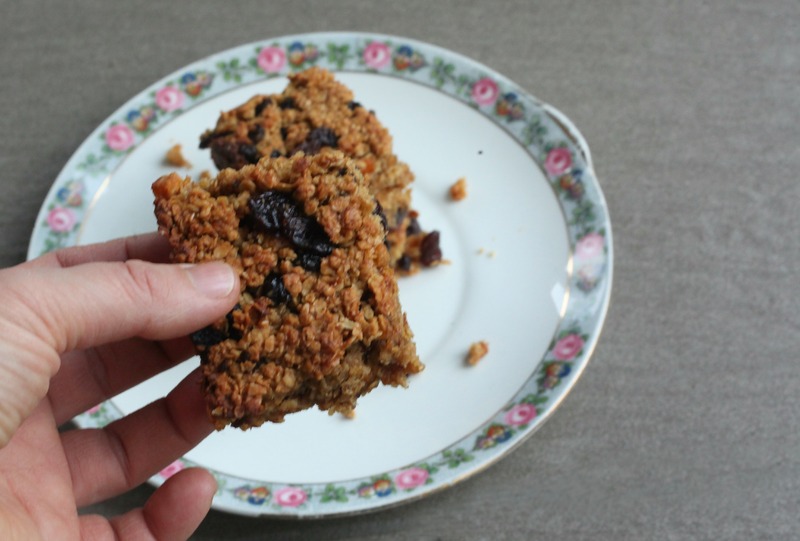 These flapjacks sound nice and I have a jar to use up too, so I might give them a go. They look so good! I was just thinking of ways to use up the last of my mincemeat so great timing. I find Sainsburys amazing for bargains – last year I stocked up on tins of coconut milk for 20p! oo me and my daughter would love these. We love mincemeat! Will be using our leftovers to make some for her lunchbox I think! Mine are in the oven now. Was very hard not to eat the mixture out of the saucepan. Yummo.